Southeast Asian countries are street food heaven. They have food like sticky rice (xôi) in Vietnam, green tea salad in Myanmar, deep-fried banana in Philippines, etc. 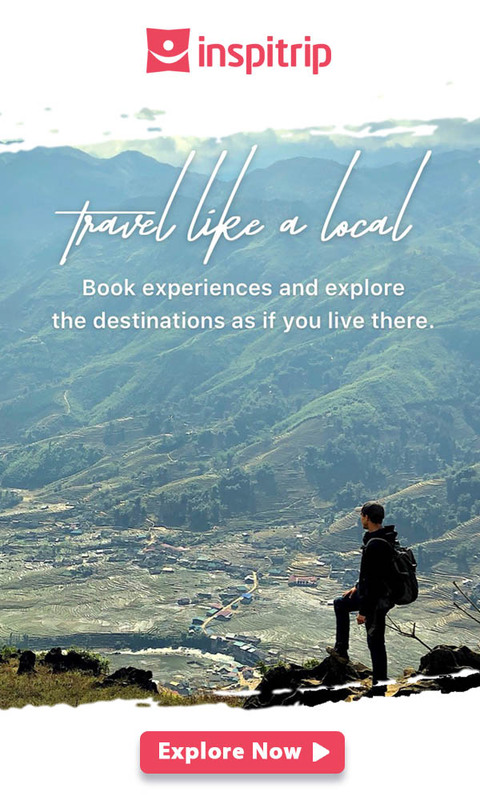 However, don’t sleep on Thailand, especially Bangkok! Its richness and variety of street food is almost unparalleled, and absolutely worth the trip! Let’s mention some Thai specialties first. We have here the famous Boat Noodles, made from normal things you may see from a bowl of noodles like meat, eggs, and liver. But what makes it special is its key ingredient – the blood of the pig. The blood is the reason for its thick and creamy surface. You don’t have to be worried about the smell ‘cause it only smells delicious! Additionally, to explain the origin of name we have to go back a bit further in the past. In 1942, Bangkok consisted of a network of canals where many boats resided and did their business. Many of those boats sold this kind of noodle, and as such the nickname was given. Nowadays, Bangkok has this dish all around the city but the place where its originality is preserved most is near the Victory Monument. Its price is about half a dollar, or 15 baht per bowl. 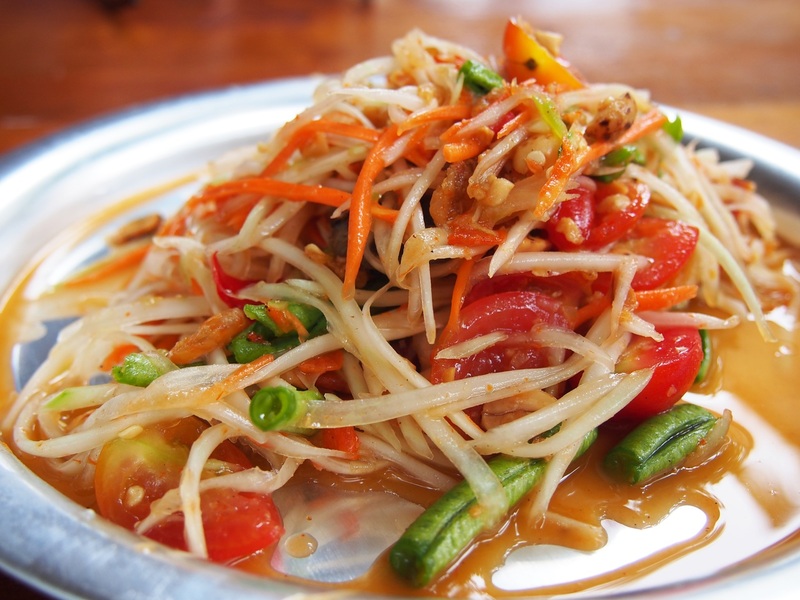 First invented by the Laos people, Som Tam in Bangkok is still commonly known by its Thai version with Western people, Green Papaya Salad. The dish is a mixture of savory, spicy, sweet, and sour with lime, chili pepper, fish sauce, and palm sugar. As for the main ingredients, though the name is self-explanatory, many merchants also use unripe mango or even cucumber! Shrimp paste is often applied in some of its variations. 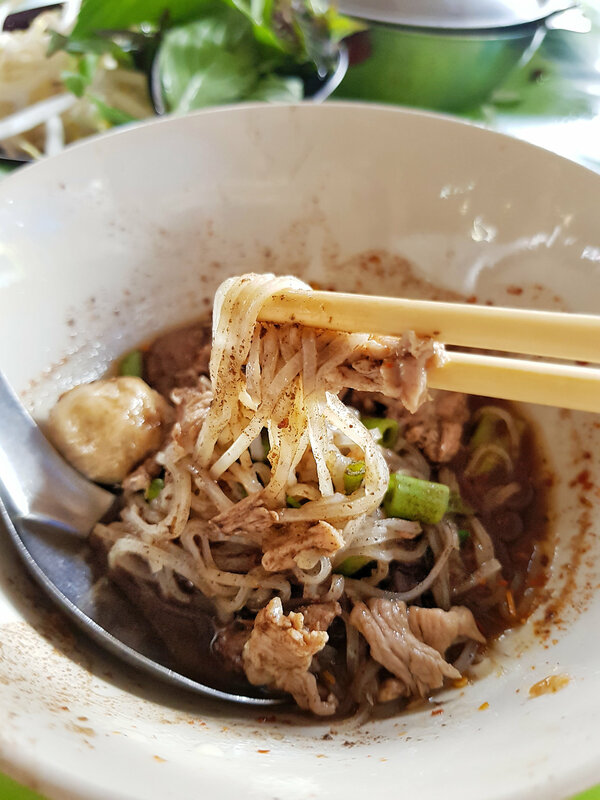 Despite its popularity in the Isan region, in Bangkok, Som Tam Jay So is the place where you should head to for this spoonful of tastiness. The price ranges from 50 to even 160 baht depending on its variations. If you have been to Vietnam and tried some of the sticky rice dishes, then you might be amazed at the freshness of this dish when fruit is combined with sticky rice. 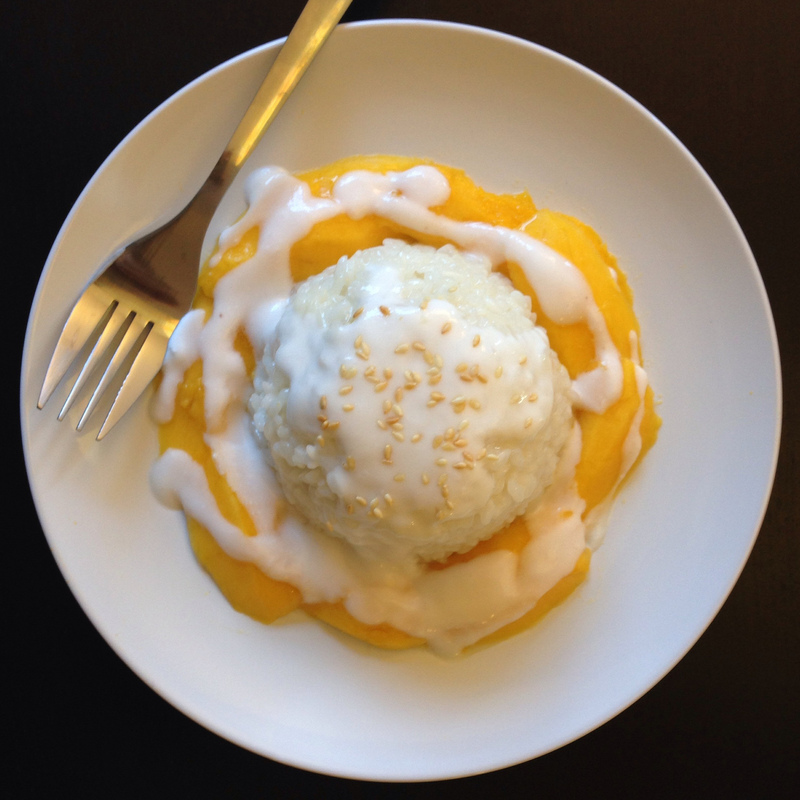 Glutinous sticky rice is the main ingredient used to provide the base for this sweet dish. Mangoes, mostly the yellow ripened ones, are cut into slices or blocks and put on top of the dish. Then we also have the version with coconut milk poured onto the rice. Altogether, this creates one of the finest desserts popular among both locals and foreigners. As a matter of fact, you can find this dish almost everywhere due to its relatively easy preparation! It costs around $1 for a dish. Pad Thai is considered to be one of the three national dishes. 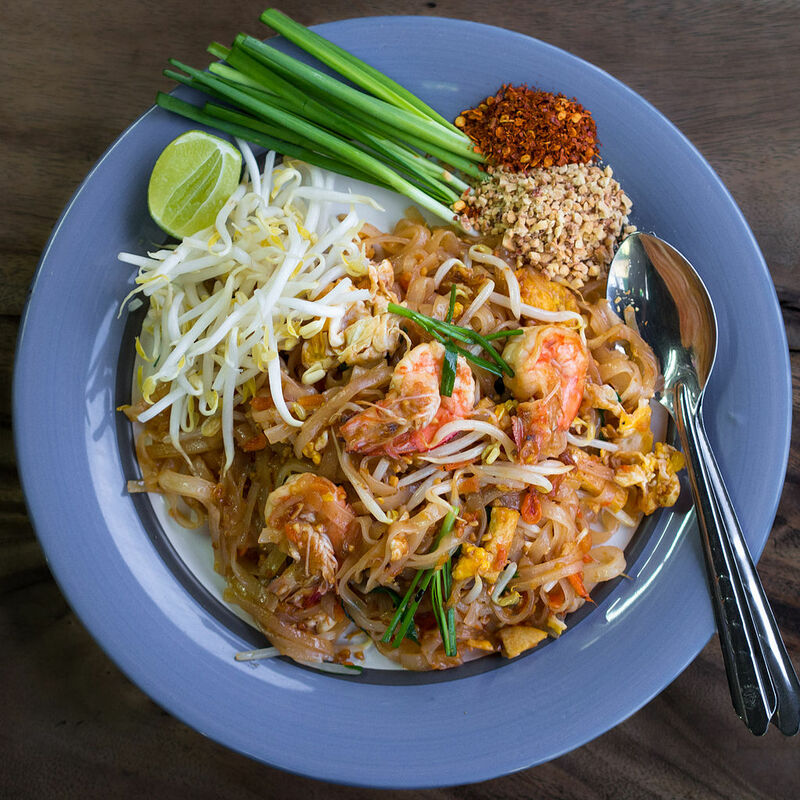 Originated from the World War II period, Pad Thai has now been popular among both locals and foreigners. 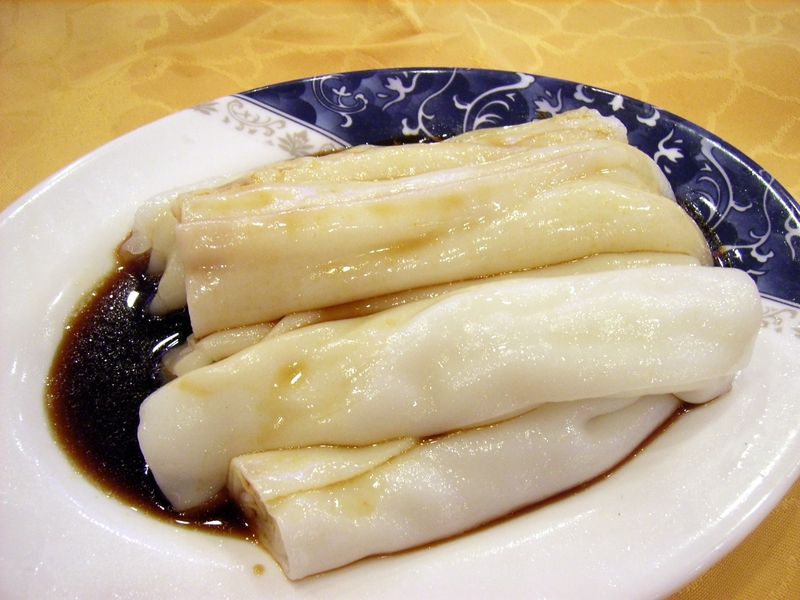 The dish is made with soaked rice noodles, then stir-fried with other ingredients like eggs, fish sauce, and shrimp. It is usually served with bean sprouts and slices of lime. Certainly, chilli pepper is a must in the dish due to Thai’s distinct flavour. The dish is guaranteed to please almost all kinds of appetites because of its combination of sourness, spiciness, saltiness, and sweetness. There are many stalls you can find Pad Thai for around $1, but to taste the most famous one, Thip Samai is your destination. There, you’ll pay about 70 baht for one Pad Thai. 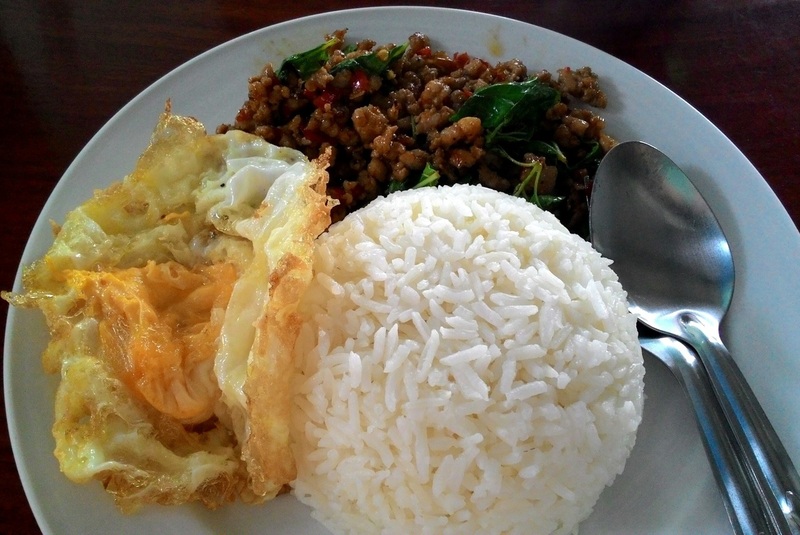 If you are looking for something that locals eat on a daily basis, try Pad Kra Pao! It is basically just sticky rice and meat but the Bangkok vendors have taken it to a whole new level of deliciousness. Mix everything together; take a spoon of sticky rice, one of meat, add an egg, and a bit of fish sauce, and there you go! 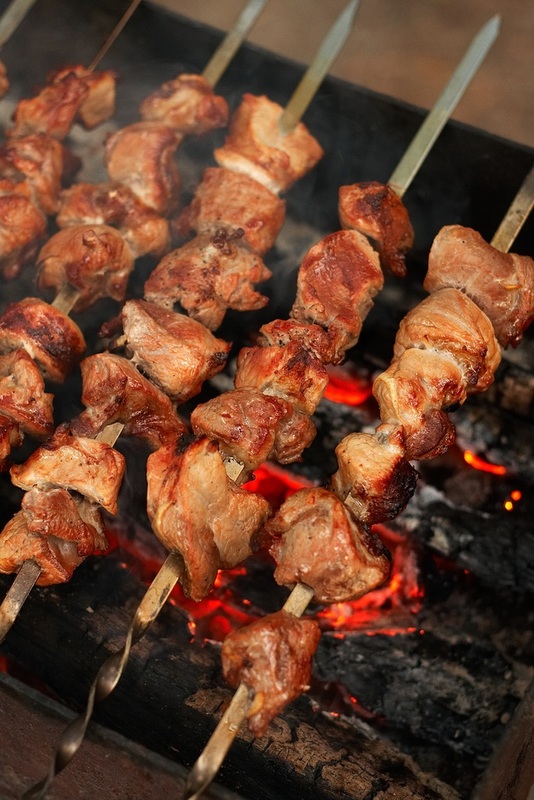 Try, and you’ll understand why even the locals don’t get bored of this wonderful street food! Vendors usually charge from 40 to 80 or even 100 baht for one dish. Due to its popularity among the locals, it can be found anywhere, especially tourist hot spotslike Sukhumvit Soi 38. Fancy some eggs? Get a healthy serving of eggs and seafood with the Oyster Omelette. 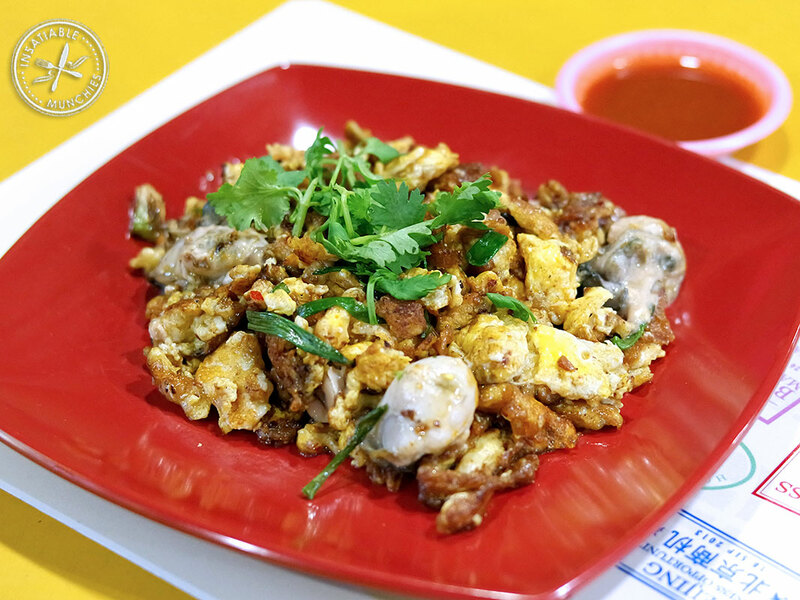 This amazing street food is a yummy combination of eggs and oyster. People usually love grilled oyster with cheese but now for egg-lovers, it’s like the best of the both worlds. “Delicious, a bit hot and spicy, not to mention the crunchiness made from starch…”, these are common sentiments of the dish. It costs you about 70 baht to enjoy this crispy wonder in Chinatown. What stirs up your stomach at night? This! One of the many foods that Southeast Asian people love is pig innards; and you’ll be hard pressed to find a place that serves it better than those in Chinatown. With just 50 baht, you can enjoy a bowl of rolled noodles and all sorts of pig organs like lung, liver, heart, tongue, and intestines. Pretty much everything you could possibly imagine from its belly is made into one fine bowl of broth. Pepper and chilly are used to spice up the flavor, and be weary that the Siam people love their spice. Another best of both worlds dish, a combination of fried and boiled chicken! If you’re a fan of Singaporean chicken rice, then you must try this for a next level experience. 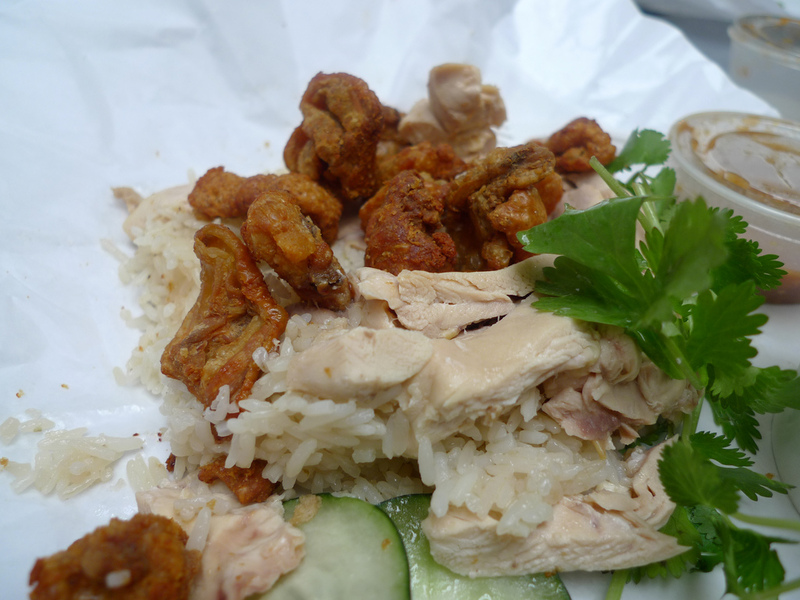 The rice is made from boiled chicken broth and the chicken gets cut into slices and put onto the rice. Normally, we may have either fried or boiled chicken for the dish but with Khao Man Gai Ruam, you can try both styles of chicken here. Bangkok is probably the only place you can find this kind of street food. You can find this in Sukhumvit Soi 38 with 60 baht per dish. ore present than Pad Thai? Moo Ping – Grilled Pork Skewers! It appears everywhere, almost every stall, every vendor, and every market there’s almost guaranteed to be someone selling selling Moo Ping. Coming at a surprisingly cheap price at 4 to 30 baht, Moo Ping has lived up to its reputation as one of the most convenient and tasty dishes in Thailand. Marinated in a salty and sweet mixture, grilled on burning coals, and dipped in spicy sauce, the skewer becomes a must-try to everyone visiting Bangkok. Grab a bite and let the feeling sink, you will see. Despite its popularity, you may find this street food most delicious in Sukhomvit Soi 19 and Chinatown.